Starting any small business is a challenging task, the market is brimming with better mousetraps and me-too services. If you find that sweet-spot of an amazing idea and access to a steady marketplace, it can be both fun and rewarding. You get a chance to build your own financial freedom and with sweat and dedication, possibly leverage a relatively small input of money into a larger company achieving profits and value that maximize your investments considerably. But if you forget to keep your marketplace access top of mind and actively maintained, you are risking a sustainability disaster. How to make your business a success? It’s simple — you have to make sure you reach your marketplace. Gone are the days of build it and they will come, whether ‘it’ is a service or product. In order to make an effective business either over the internet or elsewhere, one of the key assets you have, that many people forget to actively utilize, is their reputation … first as an individual founder, leveraging it with others to take risks, and then as a small business, to strengthen and expand your marketshare. There are few metrics better able to express your ability to expand and support your marketshare than the strength of your business reputation and your ability to capitalize on it. 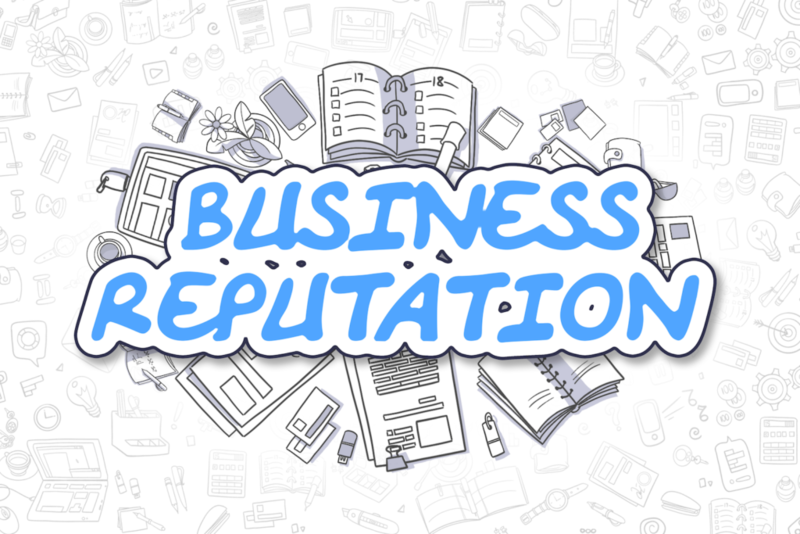 However, a mistake a lot small businesses fall prey to, is to assume that reputation marketing will take care of itself. In reality, it takes a deliberate and focused multi-prong approach to achieve the best results. Here are four ideas of how to approach leveraging your reputation to expand and solidify your marketplace. This is something that most owners say: “Of course, all businesses need to market and advertise properly.” However, not everyone thinks to market based on their reputation. People Buy from People. Use customer stories and testimonials or leverage an industry expert’s opinion into establishing your market credibility. There is lots of competition and you need to make sure that your marketing and ad campaigns use your business reputation as a clear differentiator. Word-of-mouth is a phrase people often use to justify a sort of ‘anti-marketing’ approach; it is cited as a reason they don’t need to market themselves. However, with a small amount of focus and deliberation about harvesting those referrals and good feelings of your current customers and associates it can be one of the most effective and cost conscious ways of spreading information about the business and multiplying the power of a good reputation. Throw a party (virtual or actual) for reaching an important event! Is it the opening of your store? The 1,000th customer? The first $10,000 contract won? Reward those who have believed in you and let them know they backed a winner. Everyone loves being told they are smart, influential and insightful – reminding them of this regularly turns them into some of your best brand ambassadors. Be sure to provide that affirming feedback to them, along with a reason and meaningful way to share with other people and you are launching the most reputation boosting, effective sales force you can have. Finally, don’t forget to look for symbiotic relationships (meaning relationships that provide a benefit to both parties) and complementary businesses to partner with in advertising, trade shows, promotions and other ideas. Leverage their reputation with their clients to build new clients for your business … the trust their clients have in them, tends to naturally rub off onto your business. Letting you build a warmer relationship than if you had approached them alone as a stranger. Remember this is a mutually beneficial arrangement … you need to actively leverage your audience on their behalf so you both can achieve greater things together than you would alone. I hope these ideas are not only helpful by themselves, but that they also encourage you to think of new ideas about how to leverage your reputation in creative ways to propel your small business to success. If you find yourself wanting to discuss how to implement or build on these ideas, feel free to contact me and we can see how far you can go.